It’s normal to get a little disorganized from time to time, but living in a constant chaos is a sign of a deeper problem. Your home is in a way a reflection of your mental state. The excess of clutter might be a result of an emotional or psychological issue. Don’t worry, you don’t necessary need to see therapist. You might simply hate organizing. Either way, you need to find a solution quickly before the clutter takes over your life. Clutter can exist in different forms. When you think of it, even the digital media messages you are bombarded with pollute your environment. Whatever the source, the result is the same. The clutter will drain your energy, block your creativity, and make you more stressed and distracted. Physical clutter is the most obvious one and thus the easiest to eliminate. The first step is to identify the different types of unnecessary items around your home and the reason why you still keep them. 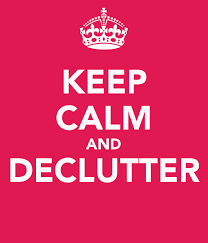 When was the last time you de – cluttered your home? If you can’t recall it immediately, then it’s time to evaluate your possessions. Generally households tend to accumulate a lot of items over the years. Some things become obsolete, others get damaged or replaced. If you don’t have the habit of cleaning these objects right away, you probably have a garage full to the top with random and useless items. Examine the items around your home. They shouldn’t be broken, torn, or unusable. If you simply don’t like something anymore find a new home for it. Take a look inside your closet. Are there pieces that you don’t love anymore or that don’t fit you? The magazines, mail, and other papers that you no longer need should go in the trash. Or even better, you can recycle them. Your items should bring you joy. Lack of an efficient organizational system is a classic reason for a messy home. Maybe it’s too complicate to stick to it? Or you don’t have one at all? Reconsider your storage and cleaning strategy before looking for a problem anywhere else. There is scientific proof that the longer you hold an item, the more attached you become to it. People can get emotionally stuck on an item when they associate it with a memory or a person. You need to recognize these objects and overcome your primary reaction. In the beginning you might find it difficult. After cleaning that stuff, you will free both space and yourself from the past. You own a pair of ski, but you can hardly keep your feet on the ground. What about the golf clubs you bought after only one lesson? Many of us want to indulge certain lifestyle that has nothing to do with the reality. Even the dreadfully uncomfortable shoes you wore only one night are collecting dust in the closet. If you can’t get a good use of the object, it should go….like right now. The most items you own, the most difficult you can manage them. In this case your bad shopping habits are to blame. Here is a tip you can try – for every new object that comes to your home, another one should go. For more house cleaning ideas visit this website. What are your thoughts? Let us know! Sofia Lewis is a passionate article writer and blogger from the UK. She is inspired by home improvement projects and writes mainly about house cleaning, home remodeling and other home related topics. photo copyright: 2015 Keep Calm Network Ltd.